When Microsoft announced in September that it would acquire Minecraft developer Mojang for the price of $2.5 billion, no one outside the company seemed to be able to agree on what it should do with its new asset. Many gamers, journalists and analysts did agree on one thing, however: a sequel probably isn’t a good idea. Microsoft apparently isn’t ready to prove them wrong. Speaking in an IGN podcast, Xbox head Phil Spencer insisted that his company knows it must first satisfy the needs of the current Minecraft community before expanding the franchise. That means that a sequel to the almost inconceivably popular world-building game may not be in the plans. Spencer also touched upon his thoughts about creating a more universal Minecraft experience across all platforms. Minecraft: Xbox 360 Edition, despite sales in the millions, is often criticized for being inferior to the Minecraft experience users get on the PC. The Xbox version is consistently updated but forever trailing behind the PC version’s feature set. Ports to mobile platforms, Xbox One and PlayStation platforms have been met with similar criticisms. The PC release is likely to always be the superior one, but Microsoft could significantly close the gap by making the game’s mod servers available through Xbox Live. There was no mention as to whether or not Microsoft would also investigate bringing parity to competing PlayStation consoles, but the company previously stated that it plans to continue making the game available across all current platforms. 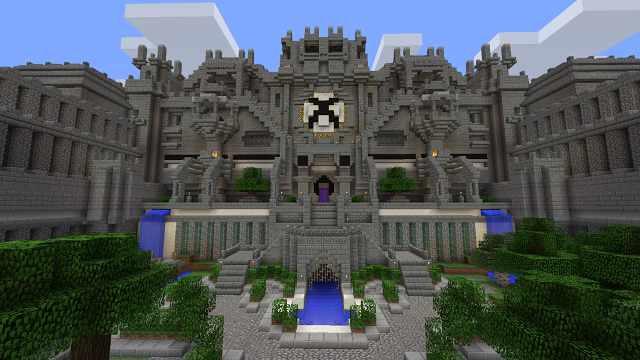 In a statement of its own, Mojang said that sales, development and support of all Minecraft releases would continue unabated. In the IGN podcast, Spencer also categorically denied the notion that purchasing Mojang was a decision that higher ups at the Microsoft forced on the Xbox team. Spencer said the idea actually emerged from within his team.